Forecasters say the heat wave gripping the nation is expected to linger for a few more days. And if you find the hot, sticky weather unbearable, chances are your pet does, too. Dr. Ian Kupkee, a veterinarian at Sabal Chase Animal Clinic in Kendall, Florida, sees about a half dozen pets that suffer from heatstroke each summer. He says pets that are left in hot cars, garages or even screened porches are susceptible to heatstroke. “Pets who are left in hot cars are the victims who usually make the most dramatic headlines, but the cases we see are usually the ones where pet owners are caught unaware,” Kupkee said, adding that home garages can easily reach temperatures in the mid-90s during the day. When it comes to protecting your furry friend from the sweltering heat, there are a number of steps pet owners can take. 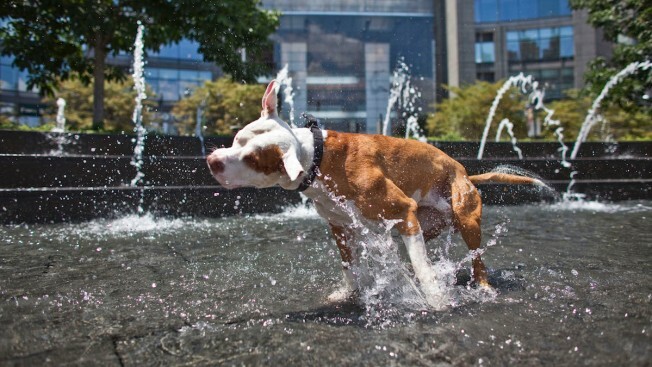 Here are some tips to prevent heat exhaustion and keep your pet cool. According to Dr. Kupkee, walks and intense playtimes should happen early in the morning or after sunset. If the concrete is too hot for your hands, it’s also too hot for your dog's paws, Dr. Kupkee says. As a precaution, place water on the pads of your dog’s feet when going for walks in the early morning or late evening. Filling a kiddie pool with a few inches of water can help keep your pet cool while they are playing outside. Pugs, English bulldogs, Shih-Tzus and other “smush-faced” breeds -- also known as Brachycephalic pets -- are at high risk of heatstroke, according to Dr. Kupkee. The throats and breathing passages of these animals are flatter and smaller, making it more difficult for them to inhale oxygen. Cats in this category include Persian, Burmese and Himalayan felines. If your pet falls under the Brachycephalic category, take extra precautions to make sure they stay cool. Smaller dogs -- like Dachshunds and toy breeds -- are also a common victim of heatstroke, Dr. Kupkee says. These short legged dogs tend to be closer to the ground and will feel the heat of the pavement 10-40 degrees higher than the ambient temperature. Overweight, obese or elderly dogs are less able to handle the heat than other dogs, Dr. Kupkee says. 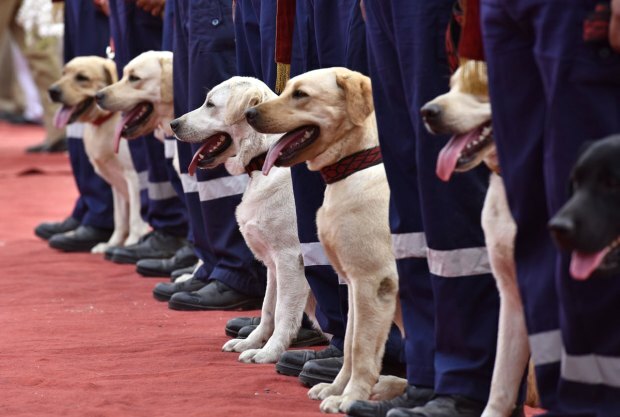 Dogs who suffer from heart problems are also at risk. Hydrate your pet often during the summer months and when you’re out for walks or playtime. Panting excessively is a common symptom of heat exhaustion. Other symptoms include dizziness, weakness, seizures, lethargy or diarrhea. If your pet is suffering from heat exhaustion, their gums and tongue may also appear to be bright red. Take your pet to the veterinarian or an emergency veterinary clinic if they show any of these signs or symptoms. 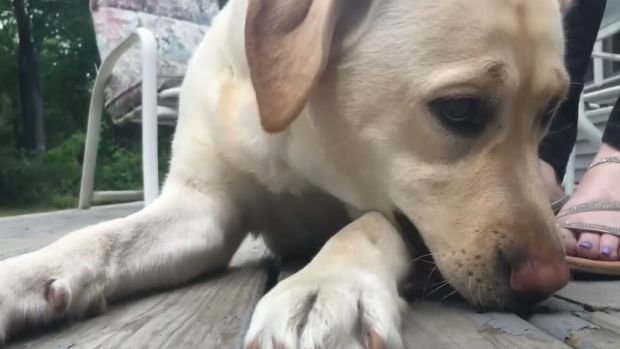 A sheriff's deputy used Narcan to revive a woman's beloved pet after the dog ate her legally prescribed pain medication. York County Sheriff William King said a woman flagged down Sgt. David Chauvette Thursday morning, fearful her dog Addie had "overdosed" on Oxycodone, NBC affiliate WCSH reported. According to the state's Attorney General's office, this is the first time Narcan has been used on a dog. It was also Sgt. Chauvette's first time administering the drug. The owner told authorities Thursday night Addie seems fine. She told them she feels grateful the sheriff's office sergeant was carrying the life-saving drug.